Until recently, renewals of loans at Microcred China was the same process as for first time loan applications, both for the client and the operational staff. As we already know the client when he renews, to encourage his loyalty and increase operational efficiency, a simpler and fully online process is now offered by Microcred China via its WeChat account. Microcred China, the Chinese subsidiary of the Baobab Group, is at a turning point of its development in a fast changing environment where the use of technology make loans available everywhere, sometimes only at the press of a button. Whilst this can be tempting for some clients, it can also be dangerous since some microfinance institutions do not have the same socially responsible lending practices that Baobab advocates. For Baobab, the personal relationship built with our clients has always been one of our key differentiators and fundamental to our success. Therefore, finding the right balance between digitalization and direct contact with our customers will be the foundation for our continued success in the coming years. In August 2018, a new service pilot aiming to reach that balance was launched in 6 branches of Microcred China. Current clients and those who had a loan with us less than 30 days before can renew their loan through an automated procedure that no longer requires physical visits of their home and business by portfolio managers nor signing a contract at the branch. All can be done 100% remotely! First, our portfolio managers screen their clients portfolio from an App on their mobile phone and send out invitations to those eligible in just a few clicks. 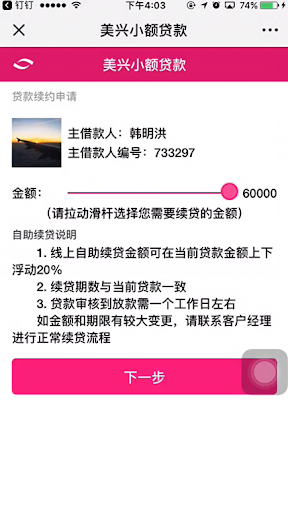 Clicking on the invitation received via WeChat, clients enter into the page for creating a loan renewal application. The client only needs to drag to select the renewal amount. 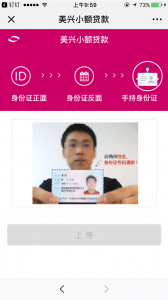 According to the regulation of the People’s Bank of China’s Credit Reference Department, online signing of credit check authorization documents requires a client to upload a clear picture showing himself/herself holding their ID card. This picture is only used for verifying identity. 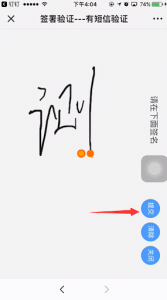 Then, the client signs authorization documents in the handwriting area and needs to enter a verification code sent to his mobile phone to complete the submission of the renewal application. Credit Reference specialists check and update credit records, then the Branch Manager reviews the loan applications, again all via an App on their mobile phone. Client Advisors based in the branches generate the repayment schedule and send the loan contracts to the approved applicants also in a few simple clicks online. 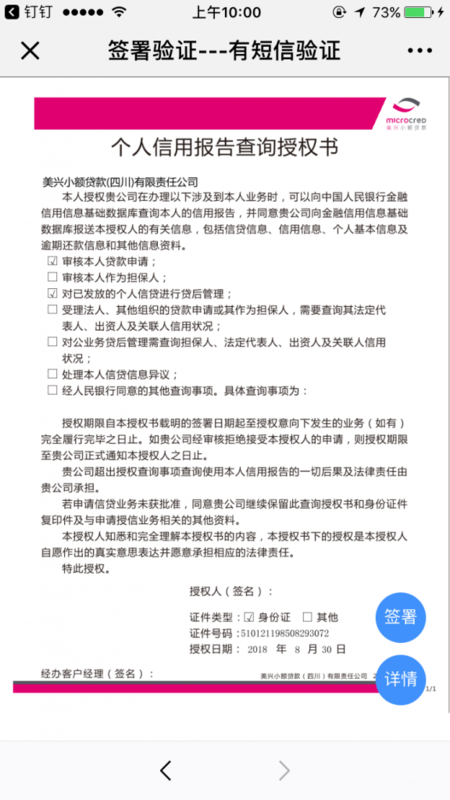 The client simply receives a new WeChat message and clicks to review and sign the renewal contracts following a similar procedure than for the credit check authorization documents. Finally, Clients Advisors inform internally to disburse the loans when it appears in green in their App once all concerned signatories have signed the loan renewal contract. This online procedure will not only save a lot of trees, but it will also increase the efficiency of the loan process. This and all coming digital developments will help Microcred China serve our clients in a more efficient way, help the company scale faster and position as a modern player in the market.